It seems like people are putting a lot of effort into trying to figure out which tools they should use, and how they should use them. What’s the best way to deal with all of this us? I’ve been repeatedly hit in the face with the answer to this recently from my network, which teaches me a lot. Simple, isn’t it. It doesn’t matter what tools you use – and if you spend too much time worrying about tools, you’ll forget to use them to do the one thing that matters – connecting. Connecting Ideas is the Fundamental Creative Act in Innovation. You have to connect ideas to ideas to innovate, and you have to connect people to your ideas to get them to spread. It’s all about connection. That takes care of the connecting ideas to ideas part. Then, to get them to spread, you need to connect the ideas to people. And that means that you have to connect with people – that is the core purpose of all of these social tools. We want innovation, but without experiencing failure. We want to embrace the new, but without risk. We want to act fast and fluid, but to maintain tight controls. We want to empower everyone, but retain decision rights for ourselves. We want to experiment, but we also want predictability. We want to be flexible to customer input, but remain ruthlessly efficient. We want to adapt, but we fear the death of familiarity. This is why it’s hard to go from being an 800-pound gorilla to a herd of nimble gazelles; an organization goes from being a centralized institution that competes through overpowering strength and scale to a set of relationships or interrelationships. Gazelles thrive and win by how they share power with one another. And, as a result, they can act fast, fluid, and flexible. 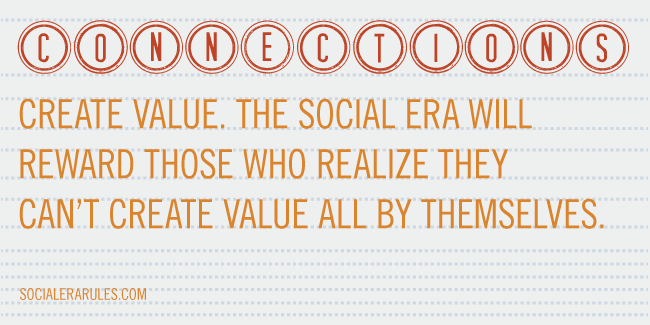 For organizations, this is key to winning in the marketplace. As organisations, we win through connections. The same is true for people. All these apps, gadgets, buildings—everything for that matter—they don’t make me smile and think about how much I love what I do. The people I know do. It is the people and my relationships with them that really matter. Done. Simple as that. All we have in life are relationships, so we better start spending more time building new ones and rebuilding old ones. Build bridges, Re-build bridges, never Burn Bridges. …all the internet is, as Doc Searls said, is a bunch of protocols that “allow us to get along.” Protocols allow us to talk to each other. The stuff in the middle, the stuff that separates us, the stuff that directly makes use of these protocols – hosting companies, web sites, blogging platforms, microblogging platforms, etc. – matter far less. You’re on one end of the wire. Just think about who’s on the other end of the wire, and what you can do for them. Worry less about the wire. Worry less about the shiny objects in the middle. Just worry about MAKING your own stuff, and the rest of the internet will look after itself. So there is your two-step guide to social success. The problem is that while these steps might sound simple, they’re not. They take a lot of effort. That’s what makes the shiny new objects so seductive – they look like shortcuts. Unfortunately, there are no shortcuts. That’s why it’s still remarkable when you do awesome work and connect with people. I know that I still have a long way to go myself. But now that we’ve connected, maybe we can do some of this awesome work together. 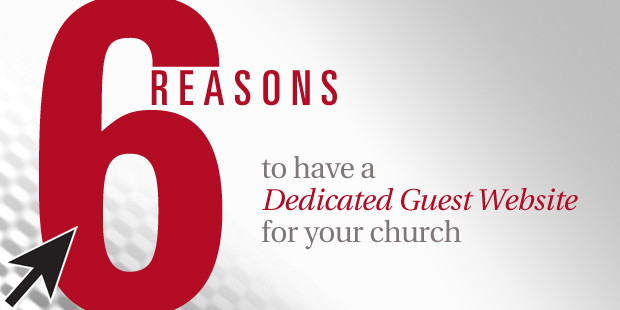 Why have a dedicated site just for guests at your church? 1) Make a Bigger Front Porch: Eighty-seven percent of your guests will click-thru before they walk-thru. Having a site dedicated to guests enables you to communicate more guest information in a more useful way. 2) Smooth the Path: Guest have mini-hurdles coming to your church for the first time. They don’t know where to go, or what to do. A guest site will enabling them to “get a feel” ahead of time, as a simple way to make them feel more welcome. Notice how Gateway walks your through these key guest decisions from parking lot to checking in children. 3) Show you Care: When a guest enters the dedicated site, it will show that you are expecting guests and that you care about their experience. 4) Resolve Conflict: Having a dedicated guest site alleviates the burden on your main church site to speak to both members and guests. 5) Show Some Personality: A guest site can introduce your church with with a story, promise or creative element. Gateway Community Church used the tagline “Welcome to your Journey” as their URL. It enabled the moment of introduction to include something to spark the imagination and draw people in rather than just saying “visit our church.”At First Baptist Dallas, they creatively use a “Plan Your Visit” form on their ExploreFirst.org to make the welcome experience personalized. 6) Evaluate Your Investment: A guest site can measure the effectiveness of external communication initiatives or campaigns that point to the guest site and not the church’s main site. 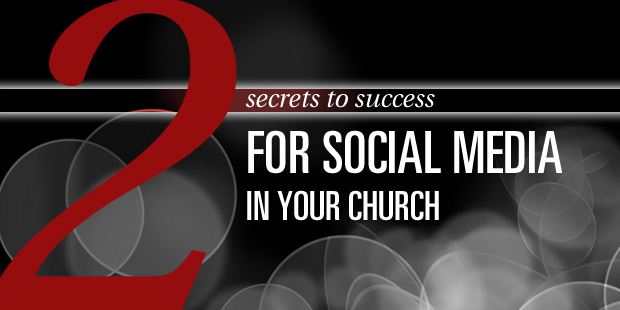 For example, when Gateway Community Church opened its building, they could know exactly how their six-piece direct mail invitations worked by monitoring web stats when the mail dropped. Have used a similar site? Let us know about it. What if you could look at the top five percent most evangelistic churches in America and find the common factors in their ministries? One of my twenty-year quests has been to take on that very challenge. My research, both anecdotal and scientific, has pointed me to several commonalities, but this latest discovery really excited me. Indeed I have found at least anecdotally one of those key factors that distinguishes the evangelistic churches from the others. I call this differentiating factor the MPI: multiple points of intentionality. Here is the definition of MPI: The most evangelistic churches in America have three or more ongoing intentional evangelistic efforts. The key is that the local church does not depend on one, or even two, ongoing evangelistic efforts. Each of the churches I’ve studied has three or more. 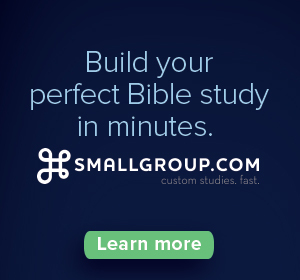 · Highly evangelistic small groups or Sunday school classes. Not just any small group or Sunday school class, but those that have a DNA to reach people with the gospel. · Ongoing prayer ministries for the lost. Most of these prayer ministries pray for lost people by name. Most churches pray for physical needs of people, but not spiritual and eternal needs. 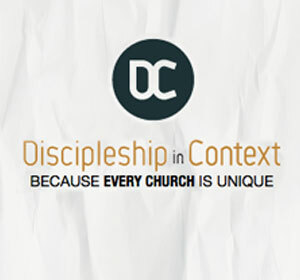 · Community ministries with evangelistic intentionality. Again, the key is that these ministries to the community are ongoing and intentionally evangelistic. An example would be the “adoption” of a local public school to meet the needs of the students, teachers, and administrators. · A highly evangelistic pastor. The pastor is sharing the gospel with someone at least twice a week. The pastor also makes local evangelism a high priority in the church. · An evangelistic Vacation Bible School. VBS is the single most evangelistic church program in America today. But merely having a VBS does not make it evangelistic. Again, intentionality is key. · A memorized evangelistic training program. Such programs as Evangelism Explosion and FAITH have been key to moving churches toward a more evangelistic mindset. 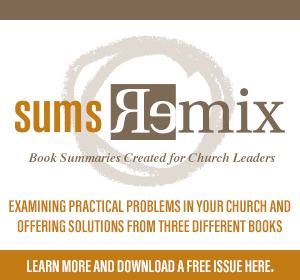 Those programs fail, however, when it is the sole or primary focus of evangelism in the church. · Evangelistic service events for the community. Community ministries, noted above, or ongoing. Service events take place on a regular but less frequent basis, such as once a quarter. They do not include Christmas or Easter productions that tend to have minimal evangelistic fruit. · Relational intentionality. Church members are trained and held accountable for developing relationships with those who are not Christians. · Ministry evangelism. This category is broad. 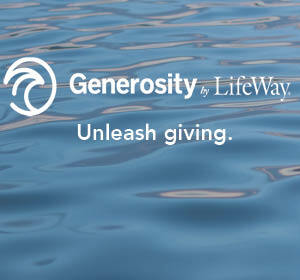 It includes pregnancy ministries, food and clothes ministries, counseling ministries, and others. With community ministries above, church members go into the community. With ministry evangelism, the community members come to the church to get needs met. Pastors and other church leaders often ask me how their churches can reach more people with the gospel. It would seem from this research that multiple points of intentionality are key. The MPI tells us at least two key truths. First, one evangelistic ministry does not make your church evangelistic. Sadly, over half the churches in America don’t even have one. Second, churches have different “personalities.” They don’t have to do evangelism like other churches. It’s more important to pick three or more evangelistic approaches that will work best in your congregation. The list above is not exhaustive, but it does provide good examples. 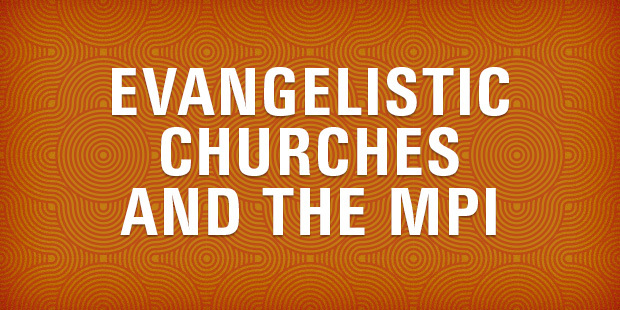 Is your church involved in at least three intentional evangelistic ministries? What are some examples not on the list? What is your church doing to reach more people for Christ? Are Your Children Hearing the One Story, Not Just a Bunch of Stories? When Does Knowledge Equal Spiritual Growth? Is Missional Going the Way of the Evangelical Movement?